My Lil Kitchen: I Scream for Ice Cream! 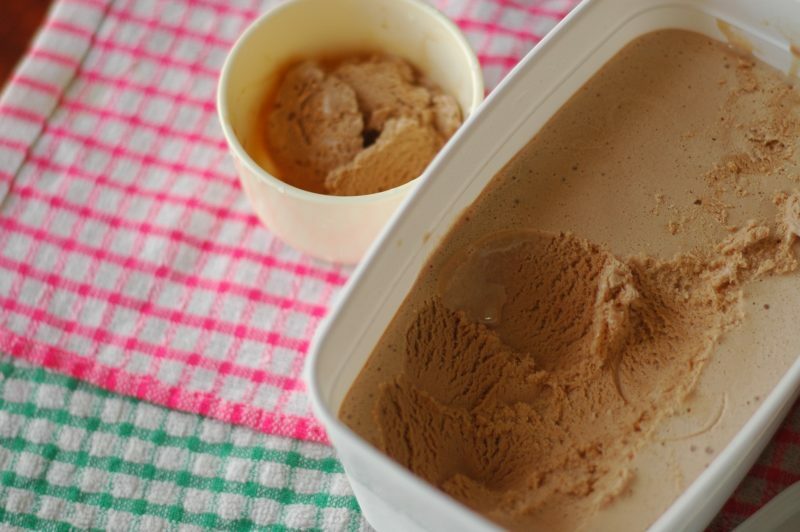 I've been dreaming about homemade ice-cream lately. I've tried a few recipes but the end product were not as soft and creamy as what we get from the supermarket. And I wasn't quite ready to splurge on fresh cream, which is not cheap where I live. So I decided to try using the evaporated milk method. And here's the result. I was happy to find that the end product was soft and could be easily scooped out straight after removing from the freezer without having to leave it to thaw. 2. Mix a small amount of the milk with the chocolate malt powder. 3. Pour the rest into a large mixing bowl with the sugar and whip until fluffy. 5. Add in the chocolate malt mix and continue beating. 6. Place the bowl in the freezer for an hour. 7. 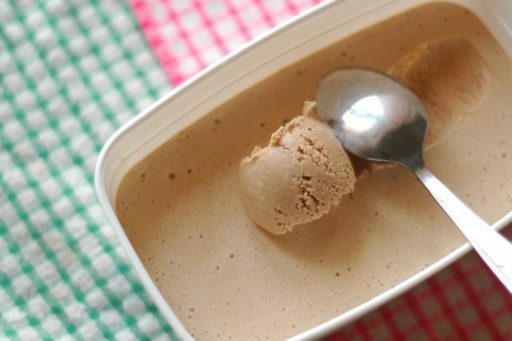 Pull out from the freezer and whip for 1 minute and back to the freezer. 8. Repeat about 4 times.